The Arlington Heights Police Department is investigating two vehicle burglaries and one retail theft that occurred on Wednesday, September 21, 2011 possibly between 11:00 a.m. and 11:30 a.m.
One burglary occurred in a Dominick’s parking lot. 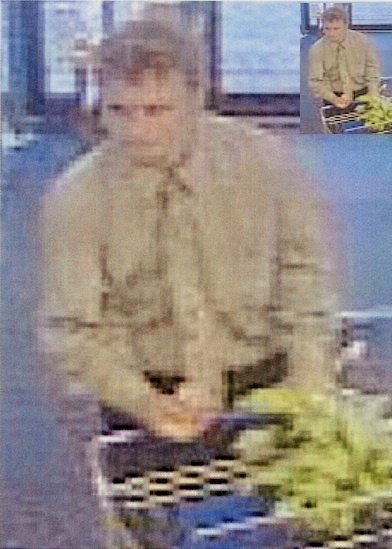 An image has been released of the offender that was observed entering an unlocked 2002 Toyota Solara. The offender removed a small item before he enter a silver 4-door vehicle and fled the parking lot. The license plate on the offending vehicle was reported stolen on Sunday September 18, 2011 by the Park Ridge Police Department. The small item was later identified by the victim as her Garmin GPS unit. The victim also reported three checks from her personal account had been taken. The Palatine Police Department had a similar incident occur on Monday September 19, 2011 in a Jewel-Osco parking lot.